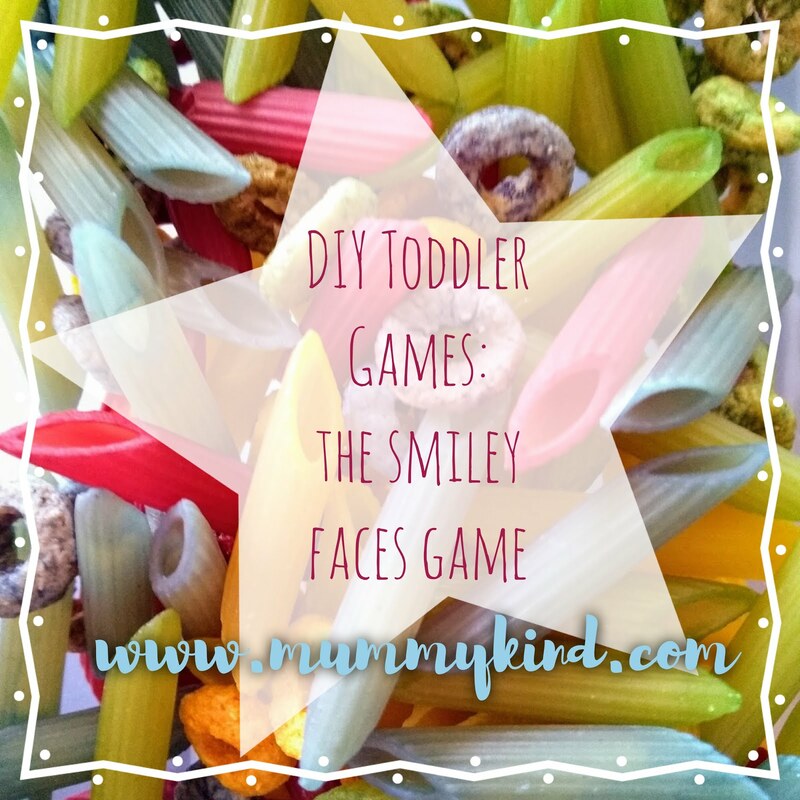 My D.I.Y fun toddler game part 2- smiley sorting faces game! Who doesn’t love smiley faces?! I’ve dabbled with trying to show Imogen the names of different colours. We’ve got books with them in and she’s got coloured shape sorting toys but I realised that colours isn’t something we have really looked at through play. Imogen really loves sorting things and putting them in to boxes, so I had a little think, and a little look on Pinterest for some ideas. I started dyeing some dry pasta and cereal and thought, now what?! Just getting my daughter to sort them into coloured pots, I thought, could be made more fun. So this is when I came up with this simple idea, which took next to no time at all to set up. The only thing that takes a bit of time is waiting for the food colouring to dry. Some of the colours are a bit more stubborn than others to dry though! I hope you and your little ones enjoy this and you can make this game from items you have around your home. 1) Add some drops of food dye into the container with one handful of dry pasta/cereal and mix thoroughly with the spoon. Lay it on the kitchen towel to dry overnight. Continue this with the other colours, so that the rest of the pasta is different colours. I used red, blue, green and yellow dyes. 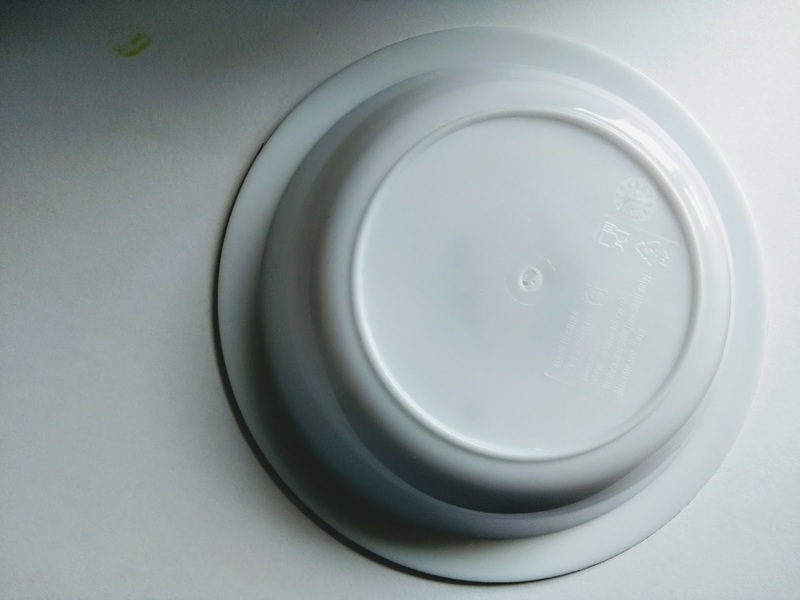 2) Turn the bigger bowl upside down on your paper and draw around it to make the circles for each of your smiley faces. Then cut them out. 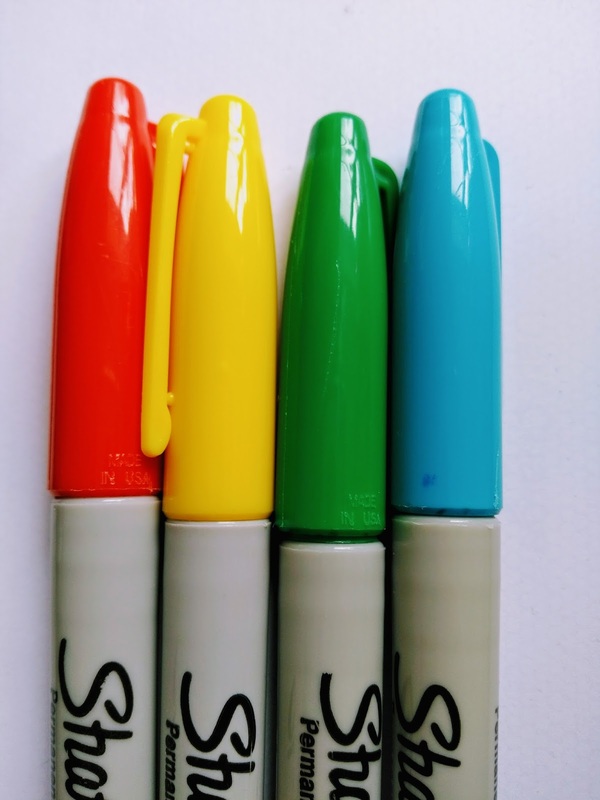 3) Draw your smiley face’s eyes onto your circle with your coloured pens. Next you need to cut the mouths out. 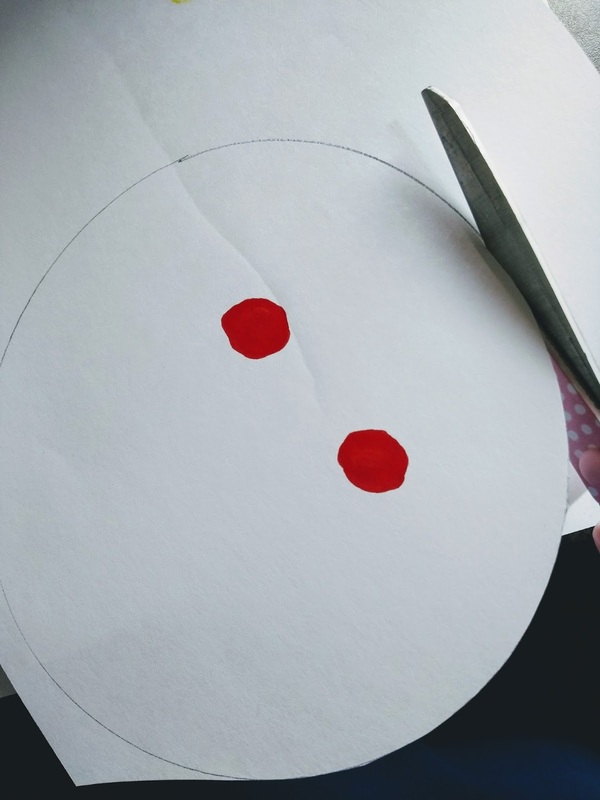 If you fold the circles in half, so the eyes are both on one side, this makes it easier to cut. I then coloured around the mouths. Repeat for all four circles. 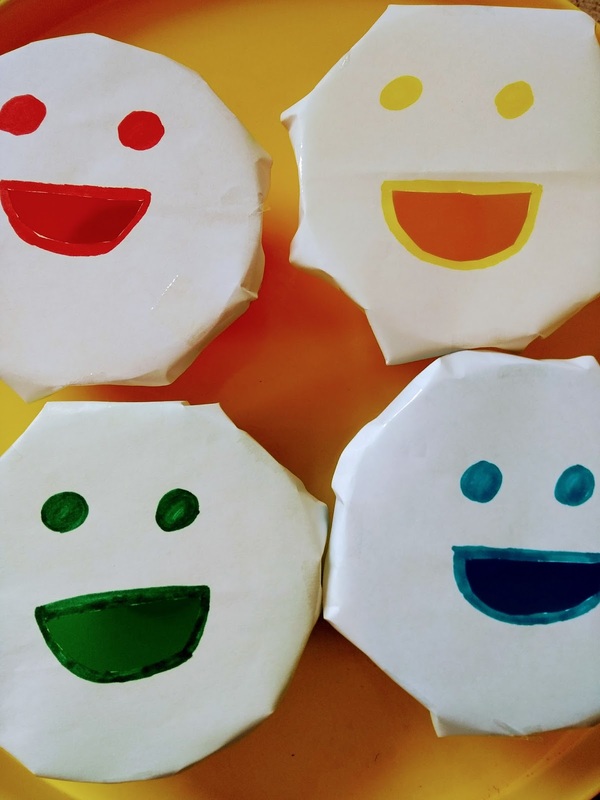 4) Tape the smiley faces to the tops of each of your bowls, corresponding to the colours of your bowls. 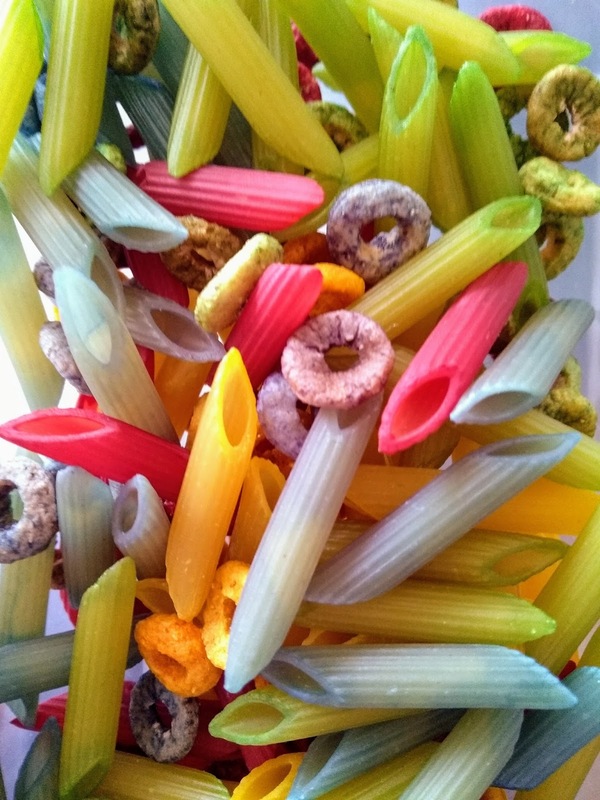 Mix your coloured pasta and cereal together. The game is for your little one to try to match the colour of the pasta with the right smiley face’s mouth. It’s as simple as that! I did think about adding more to the game, but I think for toddlers and pre-schoolers it is okay for the game to be this simple. You could add new colours to the game and different items. You could even introduce tweezers to pick up the pasta or cereal, to help your child with their hand-eye coordination. If the faces get ripped, then it is easy to replace them. Imogen didn’t want to stop playing this game and I was so pleased to watch her get the hang of it. We started her off with just two colours to begin with. We did find the Cheerios were starting to disappear, so I was relieved I used the food colouring instead of the paint! Let us know if you tried it!